Fully insured and trust worthy vehicles offered. The driver will deliver the vehicle to your door, open the vehicle up and show you how the tail lift works. 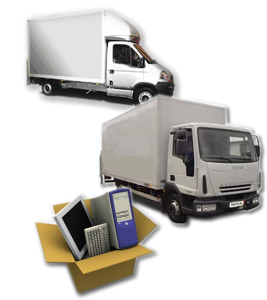 Then there are two options you can pay an additional fee for the driver to help you pack and load the vehicle (he is the professional and could save you time and traveling back and forth) and will assist you and advise you how to when loading the vehicle. There is actually an art to this.